Is VASERlipo Painful? Is VASERlipo Painful? Certain stubborn fat deposited on your body just won’t go away no matter how much exercise or dieting you put in. Liposuction, especially the VASERlipo procedure, is an excellent solution for this type of fat. People who do not have a lot of fat and those who don’t have the time to constantly hit the gym can also benefit from VASERlipo. VASER (Vibration Amplification of Sound Energy at Resonance) is a type of ultrasound technology used to break down fat cells through the application of ultrasonic frequency waves. 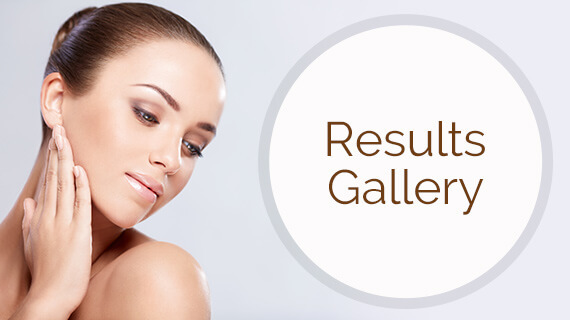 This procedure helps to give your body more-desirable contours and proportions and a more chiseled look. VASERlipo is a less invasive process than traditional liposuction and involves less trauma to the surrounding tissues. Because of this, it is a more comfortable procedure. This also means it requires less downtime and offers a quicker recovery with less post-operative bruising and swelling. Which Body Parts Are Suitable for VASERlipo? Any body part that has stubborn fat is suitable for this procedure. In most cases, it is done on the upper arms, buttocks, back, abdomen, thighs, flanks, or chin. Generally speaking, a good candidate should be close to their ideal body weight. They should have firm skin and toned muscles. During a consultation with Dr. Rich, you will be evaluated to determine your general health. You will be informed on how to prepare for the surgery and will be given instructions on post-operative care. Local anesthesia will be administered, along with continual injections of diluted lidocaine and epinephrine to ensure that the target area remains numb and firm. You will stay awake during the surgery but feel no pain. You will be given medication to put your mind at ease. A cannula will be inserted into fat deposits through small incisions. Ultrasound energy will loosen and break down unwanted fat, which will be removed through the cannula. After the surgery is completed, you will be put on 12 hours of bed rest. You will also have to wear a compression garment, which will help with contouring and with controlling any post-operative swelling. It will take about three weeks to fully heal after the procedure. During this time, it will be vital that you follow the post-operative care directions of Dr. Rich. Though you can notice a perceivable difference in your body contours immediately after the surgery, it will take about three to four months to understand the full extent of the difference between your pre- and post-operative body. To maintain the results of VASERlipo, be sure to maintain a good exercise routine and a healthy diet. Would you like to find out more about the VASERlipo procedure and learn about whether or not it is right for you? If so, it’s best to contact the office of Dr. Donna Rich. Dr. Rich, an experienced board-certified plastic surgeon, will be available to meet with you for a consultation, where she will answer any questions you may have regarding VASERlipo.